Las Vegas apartments, Willows at Spring Valley are located in the prestigious Spring Valley area of Las Vegas and they offer all the luxury the area is famous for. Unit size ranges from approximately 766 – 1,200 square feet and the property is offering spectacular spring savings. Failing to drop by and take a look at one of the model apartments at this Las Vegas complex would mean you miss out on one of the best properties in town. When you stop in, make sure to look at the fabulous fitness facility, and the so-blue pool. 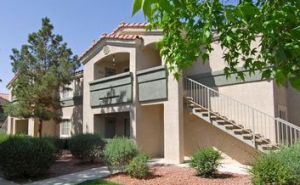 You owe it to yourself to check out these great Las Vegas Apartments.